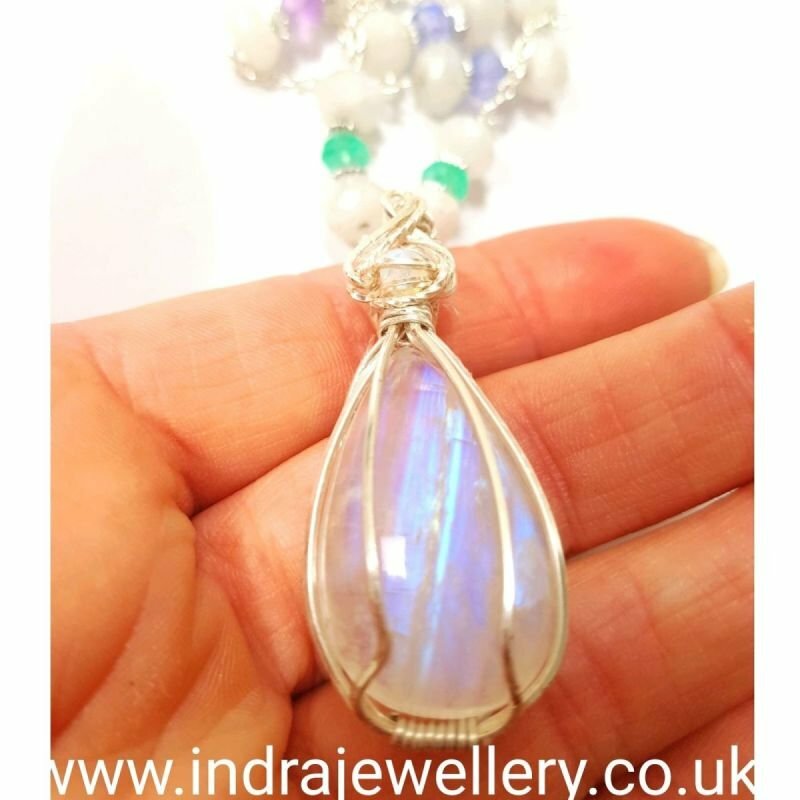 This is a really pretty moonstone necklace! The focal moonstone is a gorgeous cabochon which has amazing blue flashes in it! I have wire wrapped it and attached it to a mix of chain and moonstone beads which also have coloured moonstones in green, lilac and purple in between. The beads have been seperated with small lengths of chain and silver spacer beads. The necklace measures 24" in length.